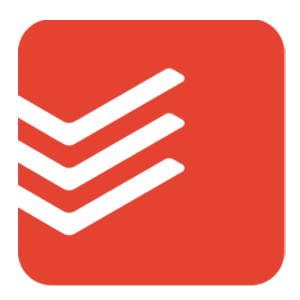 Todoist is a task management platform that enables users to organize and prioritize projects. Its key features include project templates, collaboration tools, automatic backup and synchronization, sharing controls, document management, and more. In this article, we cover Todoist reviews and pricing. Ready to get started? Sign up for free. Users who gave Todoist a positive review said that the program is easy to use and very straightforward. 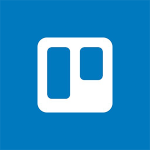 Some of them commented that it has a powerful task manager both for main tasks and subtasks, allowing users to label these according to priority, date, tag, or color. One user who gave Todoist a positive review on G2 Crowd said that the app’s organized dashboard is its best feature. He shared that the program hides future tasks and shows a daily reminder of tasks to be done so he doesn’t get overwhelmed. He added that the program’s user-friendly interface allows him to plan events or tasks in advance and reschedule them quickly if something unexpected happens. Users who gave Todoist a negative review commented that deleting tasks is difficult to do, requiring many clicks for it to get done. Some of them commented that syncing between devices isn’t always real-time. A few of them mentioned that one needs to be a premium member to be able to fully use the features of the program. One user who gave Todoist a negative review on G2 Crowd said that the program cannot be fully maximized without the premium features. She added that an Outlook integration would be helpful as it doesn’t sync well with calendar options. She mentioned that she finds the software limiting as she is unable to assign tasks and get timely notifications when a task is due. Todoist pricing has a free option and two paid plans: Premium ($3/user/month, billed annually) and Business ($5/user/month, billed annually). 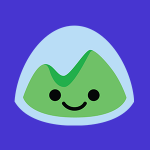 The main differences between the plans are the number of active projects and people per project, as well as access to premium features such as shared team inbox, admin and member roles, and team billing. Todoist also offers discounts for students, education professionals, and nonprofit organizations. Interested users may contact its sales team directly to inquire. Ready to get started with Todoist? Sign up for free. Does Todoist support multiple languages? Yes. Todoist supports the following languages: English, Chinese, Danish, Dutch, Finnish, French, German, Russian, Italian, Japanese, Korean, Norwegian, Polish, Portuguese, Spanish, Swedish, and Turkish. 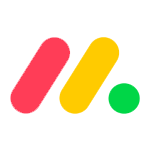 It is possible to have the program set to different languages across the platforms as well. For example, users can use the web app in English and their mobile app in Spanish. Can users update their Todoist accounts even when there is no internet connection? Yes. Todoist has an offline mode that is automatically activated whenever users don’t have access to the internet on the following platforms: Web, Android, iOS, macOS, and Windows 10. Any changes that they make in Todoist while offline will be automatically synced with the server as soon as they reconnect to the internet. Before going into offline mode, users need to ensure that they have already logged in to Todoist. 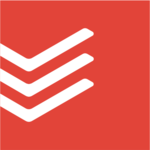 Have you read these Todoist reviews and are still not sure if it’s the right fit for you? Read our reviews of all top task management software or check out one of these three Todoist competitors.